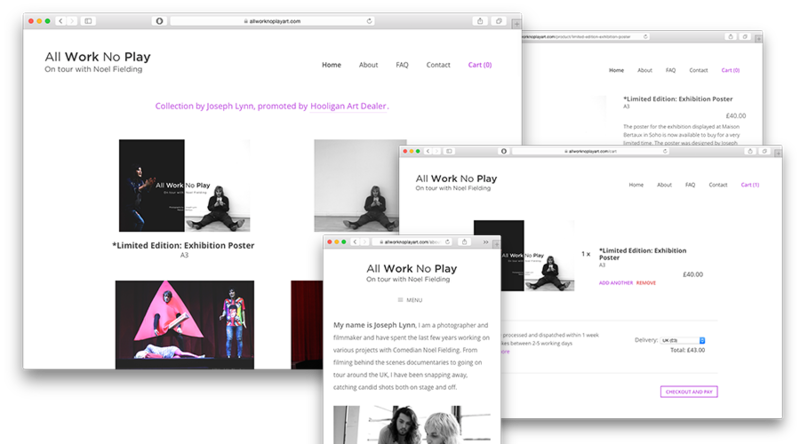 I created the All Work No Play art website for him to do just that, creating the entire shop-management system from scratch using Stripe. Even during peak demand the site performed excellently and continues to offer excellent pieces of art for fans. Technical Details: Created in HTML5/CSS3 alongside jQuery and Stripe. The back-end is powered by Django/Python and Memcached.